In honor of Veteran’s Day, here’s some information you should know if you are involved in a military divorce. A military divorce in Delaware is a bit different from a typical civilian divorce. Under the Soldiers and Sailors Act, 50 UCS Section 521, as well as the discretion of the local courts in Delaware, the divorce proceeding may be postponed for the entire time the active duty service member is on duty and for up to 60 days thereafter. Typically, this is used for soldiers serving overseas or in a war to prevent the non-military spouse from divorcing the soldier while they are away serving our country. 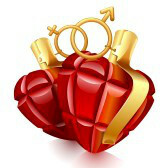 The postponement may be waived by the active duty member should he or she wish that the divorce go forward. The residency requirement for filing a divorce remains the same, except that you or your spouse must reside in Delaware or be stationed in Delaware in order to have standing to file the Petition for Divorce in Delaware. The grounds for a military divorce in Delaware are the same as a civilian divorce. Lastly, if you are contemplating dividing property through a military divorce, in addition to the normal Delaware property division laws, the federal government has enacted the Uniformed Services Former Spouses Protection Act (USFSPA) that governs how military retirement benefits are calculated and divided upon divorce. The USFSPA is the governing body that authorizes the direct payment of a portion of a military retiree’s pay to the former spouse. The federal law will not divide and distribute any of the soldier’s retirement to the spouse unless they have been married 10 years or longer while the member has been active duty military. To learn more about military divorces, speak to an experienced attorney today.